There has been a noticeable shift globally toward sustainability, not just speaking about it, but actionable initiatives are now in place and growing on an unprecedented scale. It is widely accepted that our current path is unsustainable, we need to change both how we produce and consume. The directive to transform businesses to respect environmental limits while fulfilling social wants and needs has become an unparalleled platform for innovation. If you incorporate sustainability into strategy, design, manufacturing and brand, there are massive opportunities to compete and to adapt to a rapidly evolving world. There is a common perception that paper is bad for the environment, but the truth is that paper is one of the few truly sustainable products. Paper production is not a major cause of greenhouse gas emissions. Most of the energy used in paper manufacturing is renewable and the carbon intensity is relatively low. Paper is one of the most recycled products in the world and continues to absorb carbon over the course of its life time. The virgin fibres that are added to the paper stream nowadays almost entirely come from sustainable forestry sources. It has been calculated that one tonne of recycled paper saves 7000 gallons of water, 3 cubic yards of landfill, 2 barrels of crude oil and 4100kw of energy. 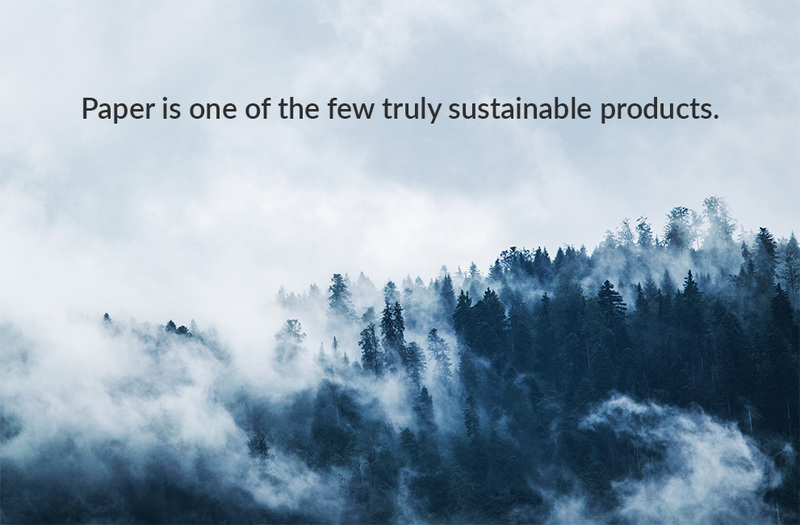 We at Xanita are proud to product a truly sustainable product. Xanita Board is made from post-consumer repulped paper waste and our virgin fibre supply is Forest Stewardship Council (FSC) accredited. Xanita Board is 100% repulpable and recyclable. Xanita board is entirely Volatile Organic Compound (VOC) free and we do not use fossil fuels in the origin of our raw materials. Our Cradle-to-Cradle approach to our systems and product design is a business model that aims to be sustainable and considerate of life and future generations. To build a better future, we must transform our markets, how we produce and consume, and the very ways in which we define and measure value and progress. “We shall need a substantially new way of thinking if humanity is to survive.” – Albert Einstein. Are you working to be part of the change we need?